A human space colony fighting for survival, a new romantic interest, and—a good Dalek? This week’s Doctor Who episode threw a lot of information at viewers, but managed to do it in an exciting way while fleshing out the character of the Twelfth Doctor, who faced off against his age-old foe. 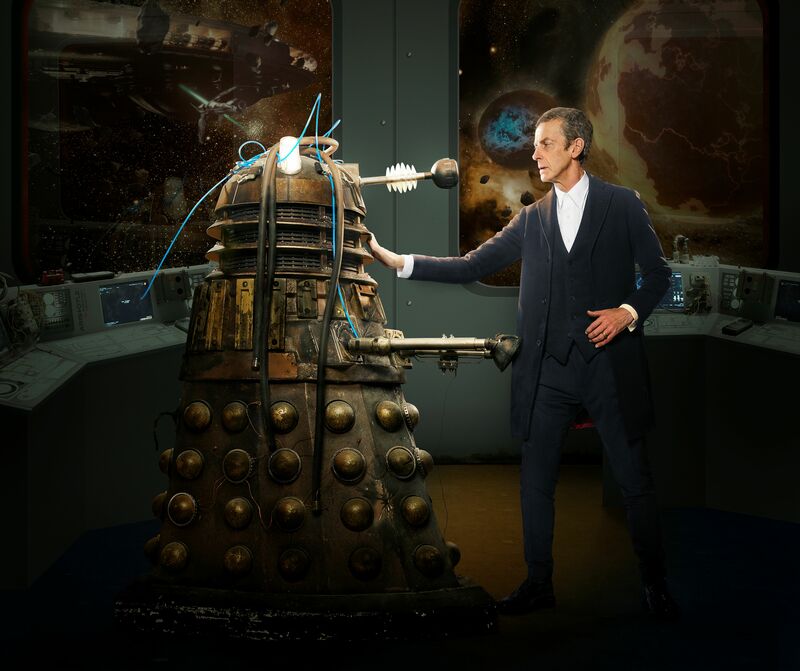 “Into the Dalek,” the second episode of Doctor Who’s eighth season, gave viewers a better taste of what exactly Capaldi is bringing into the arena, with his brutal honesty and cut throat, no fuss approach to problems. And while the episode’s theme does seem a bit formulaic (as if having the Doctor confront his worst enemy would serve as a good warmup for newcomer Capaldi), the episode is a fast-paced nail-biter, and serves as a good followup to last week’s information-heavy introduction to the new Doctor. 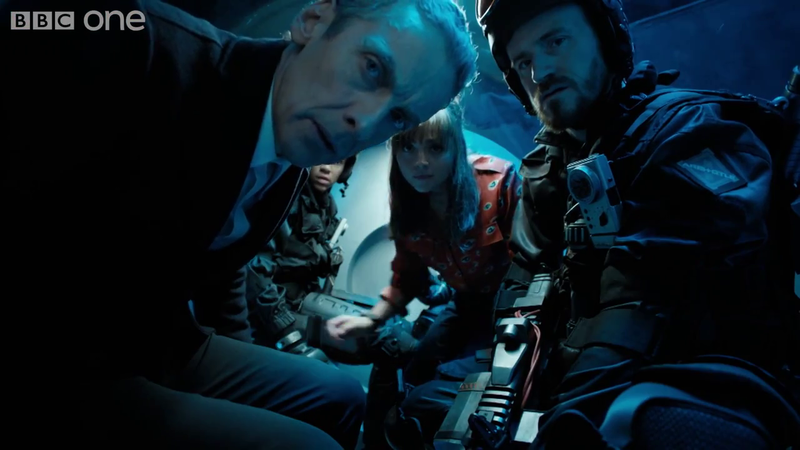 The Doctor and crew get into a Dalek’s head–literally. “Into the Dalek” focuses on a colony of humans trying to fend off their impending destruction at the hands (plungers?) of the evil robotic race. 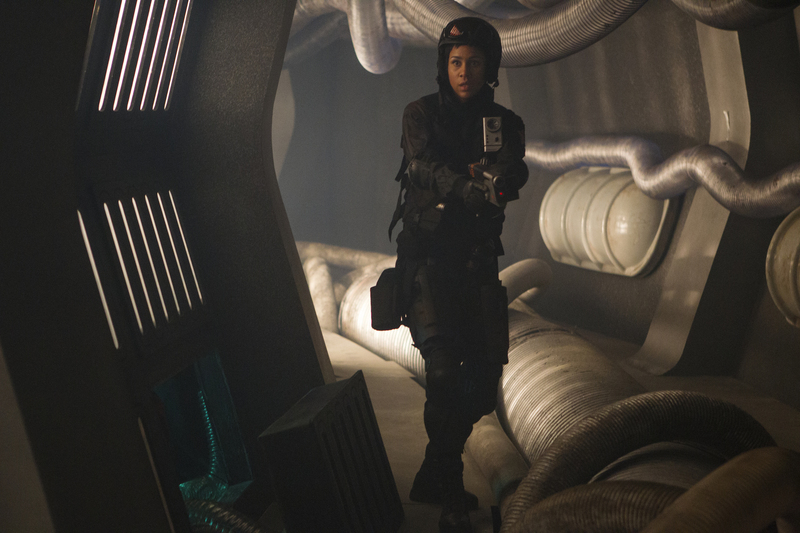 The episode begins with the Doctor saving Journey Blue (Zawe Ashton), a soldier who has had her share of losses and becomes an ally for the remainder of the episode. After boarding the ship, however, the Doctor finds himself faced with the unfathomable problem of aiding a Dalek who has been injured and taken captive by the human colony. The episode’s theme is slightly reminiscent of 2009’s “The Waters of Mars,” which was also penned by writer Phil Ford and to this day remains one of my personal favorites. Soldier Journey Blue inside Rusty, the injured Dalek. Interestingly enough, however, this particular Dalek (nicknamed “Rusty”) has been injured to the point that its morality systems have malfunctioned, and it believes that all Daleks should be destroyed. The Doctor, Clara (Jenna Coleman), and company get into the Dalek’s head very literally in an attempt to assist it and to find out whether or not a “moral Dalek” can actually exist. The Doctor experiences his own personal dilemmas throughout the episode while still attempting to cope with the morally questionable decisions of past incarnations, which adds a compelling depth to the story and further insight into the Doctor’s character. 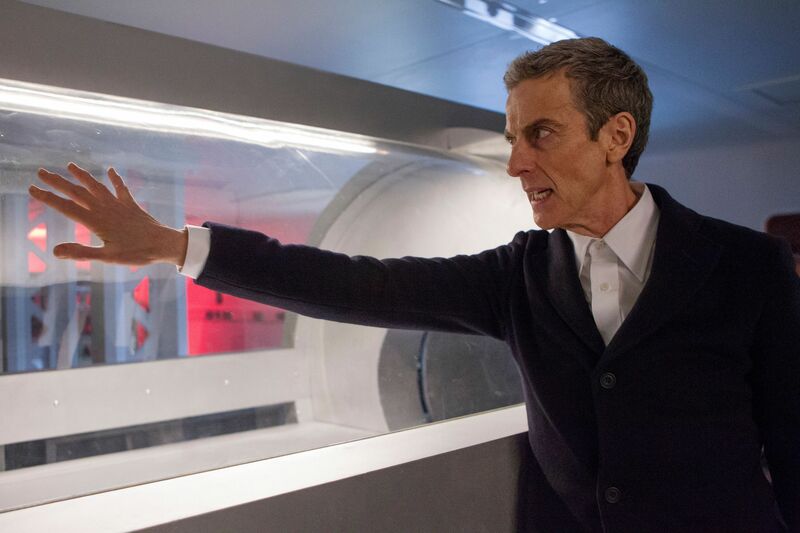 The Twelfth Doctor continues to be a badass. Fans also get the chance to see some of Clara’s personal life (a rarity), with the introduction of a potential romantic interest. A new math teacher and coworker of Clara’s, Danny Pink (Samuel Anderson) is a former soldier with his own inner demons and secretive past. Very little is known about this character at present, but it will be interesting to see what role he will play—for better or for worse—in this season and in Clara’s future. 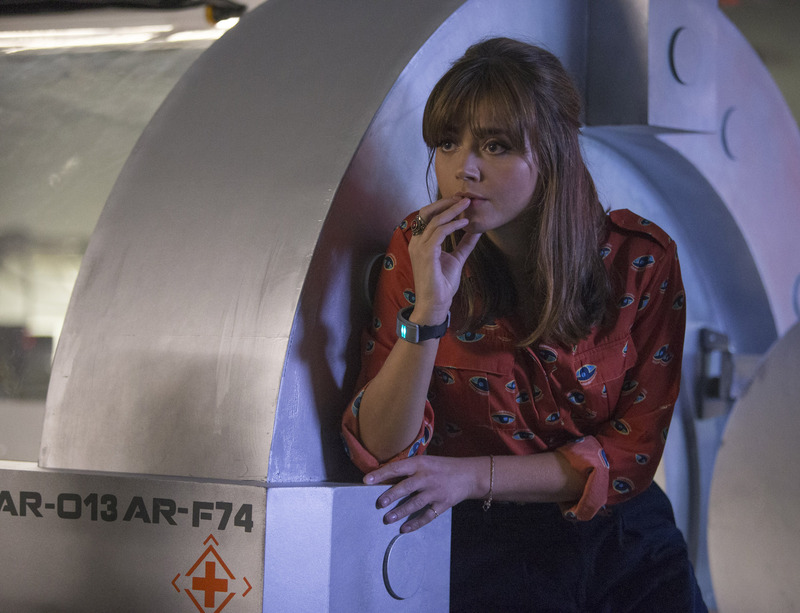 Clara has experienced significant character growth in the first two episodes of series 8. What does her future hold? Moffat seems to have quite the affinity for the destructive (albeit a bit awkward) Daleks, and as interesting as the mechanic alien race is, I can’t help but wonder whether it wouldn’t be more tasteful to revive a different villain, or introduce a new type of monster to the fray. Considering they tend to make at least one appearance per season, the Dalek formula is feeling a bit old, and if abused, perhaps viewers will begin to wonder if the Daleks pose much of a threat after all. Does Rusty give hope that the existence of a “good Dalek” is possible? That’s not to say that “Into the Dalek” wasn’t a fantastic episode. In fact, I’d go as far to say that it was the best Dalek episode we’ve seen in some time, which is partially due to Capaldi’s refreshing new take on the Doctor’s character and the way he interacts with his enemies–and his friends. I guarantee you Matt Smith’s Doctor would think twice before disintegrating one of his allies in order to save the skins of his other teammates. But Capaldi doesn’t mess around, and does what is necessary for the greater good, without looking for a potentially time-consuming escape route. This departure from nice guy Matt Smith and even David Tennant gives Doctor Who just the boost it needed, and if this trend continues, series 8 might end up being one of the best seasons we’ve seen in a long time. Don’t miss Doctor Who’s next episode, “Robot of Sherwood,” which airs on Saturday, September 6 on BBC America in the US and BBC One in the UK. Is Capaldi still living up to your expectations? What do you think of this new, darker side of the Doctor? Will Clara’s new potential love interest pan out? Tell us what you think in the comments!